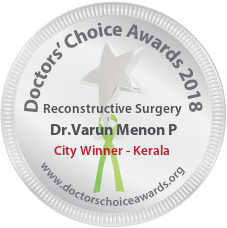 Dr.Varun is a good friend of mine.He is an excellent doctor with both academic and clinical skills.He is very sincere,hardworking and very dedicated to his work.Even though he achieved a lot of recognitions in younger age,he is a down to earth person and always approachable by all.I wish him all sucess in his future endeavors..!! Ideal and Idol… both these words are the perfect prefixes to the words when it comes to you. Hearty congratulations dear. I have known Dr Varun from the time he was an Undergraduate Student. He is a brilliant and compassionate doctor and a wonderful person. 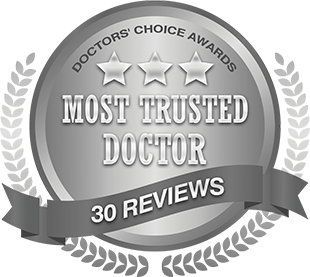 I am very sure that his patients are fortunate that they have him as their doctor and I am fortunate that I have him as my friend. 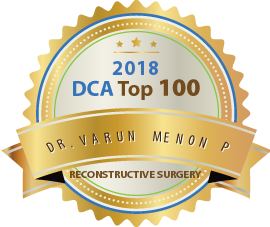 Dr. Varun Menon is an excellent Academician, a wonderful personality and a good clinician. Varun..know him from my ug days..a very gud friend of mine..Updated and Dedicated to his work..Wishing him all the best!! Dr. Varun was a PG in our college during my UG time.I still wonder his thirst for knowledge.He is not only a good surgeon but also a good taecher too. Wonderful doctor. Very knowledgeable and dedicated. Patient listener and does his best for the society. I know Dr. Varun since my college days . He is truely inspirational , ambitious , and dedicated surgeon ive have seen . I wish him All the best for life ! Know Dr Varun from his UG days. So much is already written about his professional and surgical skills. Let me add something extra. He is a wonderful person to be with a good friend, exceptional basketball player and a wonderful team man. These skills definitely adds to his professional achievements now. Good luck to him. It’s indeed a privilege to write about Dr.Menon. I know Dr.Menon for the last 15 yrs since our college days. Though we haven’t work together, I had opportunities to seek his opinions on multiple occasions. 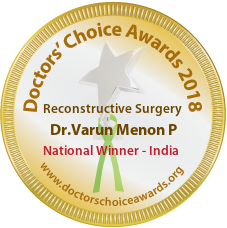 Dr.Menon is exemplary in his field of work and research .He is not only a passionate doctor, but also a good human being who always aim for par excellence with no compromise for quality. His professionalism is something which I always appreciate and admire about. I wish him all the best for his future endeavours..
he is a super cool doctor with good hand work,always enthusiastic to learn more and apply in his field,moreover interest in research is something which makes him perfect.I personally seen him working with patients and never seen someone like him dedicated in his field,I wish him all the best . 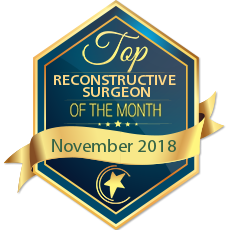 Highly dedicated surgeon. Extremely hard working both clinically and academically. Great passion in the field of research and publications. Sure to achieve greater heights and create a name for himself in the field of oral and maxillofacial surgery. I have known Varun since our school days. He is a dear friend and an inspiration. Inspite of being multi talented he was never one to boast. I am happy to see the laurels he has achieved till date. Wish him all the very best in all his endeavors! 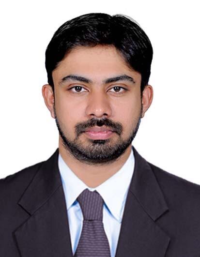 Highly Dedicated Professional who is very sincere with his work…. Gud Luck Dr Varun!!! A skilled surgeon, a courteous doctor , an achiever and someone who is dedicated to his work. I’m sure you have a lot to offer your patients , wishing you the best in life . A killed surgeon, a courteous doctor , an achiever and someone who is dedicated to his work. I\’m sure you have a lot to offer your patients , wishing you the best in life . Dr Varun is a very sincere, dedicated and efficient reconstructive surgeon..wish him all the very best in his career. Was my senior at the college!! Dr Varun has was very much dedicated to his work .